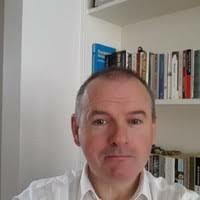 Eddie Coppinger is director of the Legal Advice Centre, University House in London’s Bethnal Green. It is situated in a poor and ethnically diverse Borough, Tower Hamlets, which has the highest levels of deprivation among children and pensioners in London. The centre pre-dates the law centre movement of the 1970s and was formed back in 1941, originally out of the now dissolved university settlement movement – though vestiges remain in Toronto and New York. Eddie has been at the centre for 11 years. I have spent half my life working within community law centres – Wandsworth, Hounslow and Islington. The other half has been as a full-time trade union officer. I have a law degree and a masters in social policy, and it is fair to say that I came to legal work through a concern with policy. I worked for a civil service trade union as their Legal & Safety Officer. Amongst other things we produced a memory stick on which contained toolkits on health and safety. It got a lot of interest and provided a good way of engaging with members individually as well as health and safety reps. I also did a lot of work at a policy level, responding to government consultation documents and so on. But that was very removed from people. When I came here, I initially got very involved in working with people. It was a labour of love. I got involved in technology projects here accidentally in a way. We set up a Skype clinic with a set of barristers at Hailsham Chambers in order to improve access to lawyers who could not come out to the East End. We gave the barristers temporary codes to our on-line case management system – we have had a paperless office for 7 years now. We got expert advice, primarily in personal injury and employment matters. It seemed to work. We had no problems with the technology. Everyone – the barristers, clients and ourselves – is comfortable with how it works. It has been going for about five years now. The Legal Education Foundation heard what we were doing and approached us to do a feasibility study for a similar sort of Skype service for Cornwall (in the far west of the country) where there is a shortage of advice provision (‘an advice desert’). I went out the next day to speak to people in Falmouth [about 300 miles or just under 500 kilometres from London]. Within weeks, we were funded to go live. We had to amend our articles of association to give ourselves a geographically broader remit. We teamed up with the Draecena centre, a local community centre that happened to have available space. We purchased three web enabled computers and scanners for them. We provided training and we looked for mature individuals who could help manage the process. It turned out to be very straightforward and very like our work with Hailsham chambers. The only early problem was with the broadband but we settled that. The clients link to solicitors here at the centre and we provide advice on welfare benefits and debt. We provide a full service and run exactly as we do in a face to face clinic here at designated times where staff keep an availability to answer calls. So far, we have dealt with around 200 matters. It has been remarkably easy, given that we started from a standing start and with a centre that had no tradition of providing advice. The question was how we might scale this up. We had based our service on the fixed location in Falmouth. We went about developing a webcam platform. We wanted a system that would allow clients to use smartphones and us to use our computers in the office. We went that linked a US webcam app with our case management system and the streaming possible from our website. You can deal with documents by using your phone to take pictures. We are concentrating on family law and are about to go live with a duty desk at Truro combined court with, hopefully, a further session at Bodmin [two towns in rural Cornwall]. We have found the court administrators very supportive. The idea is that we will allocate staff here at designated times to answer calls. What we like about the app is that it halves the screen so that you can simultaneously see the webcam and any documents. We can actually subdivide the screen so that, for example, a remote translator can be present as well. We hope that we will be able to train pro bono lawyers to use the package so that they can take calls at times that suit them. They will have access to our case management system and we will supervise them as we would normally. The system also has a web chat facility so that an adviser can seek help in real time with a query from our specialist staff. My overall judgement about technology is that it should not be used in lieu of a specialist service. On the contrary, it should provide ways of accessing specialist advice. Our client group is not interested in guided pathways on websites. If it was that simple, we could all go home and tend our gardens. Most of our clients have complex health and social problems, not just language difficulties. They lead chaotic lives. Some advice is unavoidably complex – just look at the law relating to obligations of disclosure before employment. Websites will not do it. Artificial Intelligence is over promised. It may be helpful for the back office – less for the front. We need to develop ways in which people can access cheap individualised and specialised advice.